Have you heard about the Kitestring Christmas Spectacular? So, you can buy tickets to the whole night (pageant + dance party) for $16, or you can buy a ticket to just the dance party portion for $5. 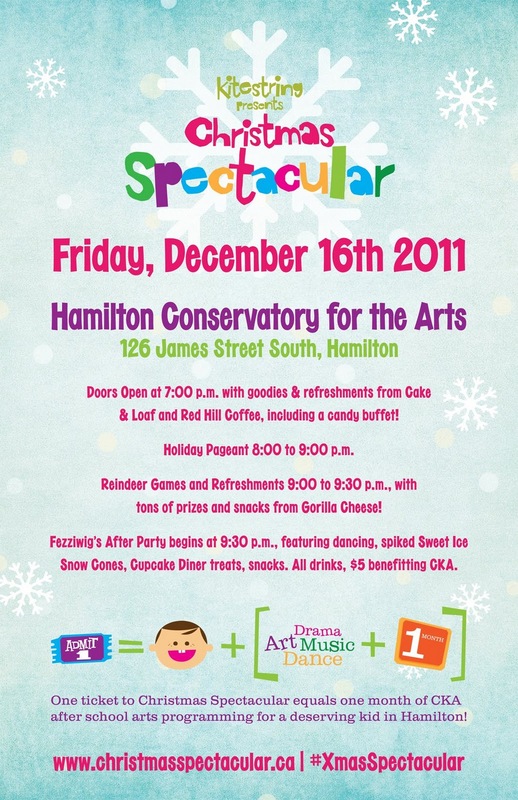 This is a charity event for Hamilton's Culture for Kids in the Arts. 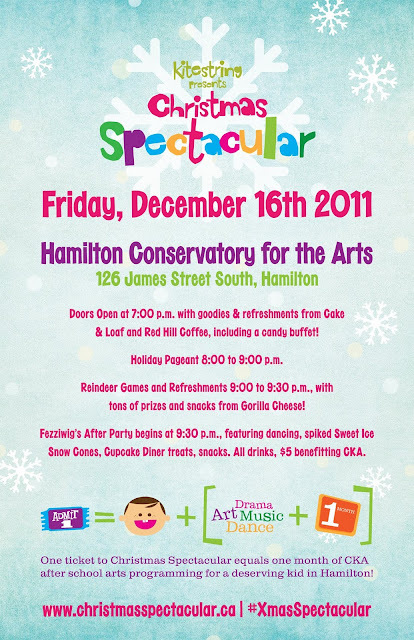 $16 pays for one month of arts programming for one deserving Hamilton kid - such a great cause, right? You can learn more about this charity (CKA) and buy your tickets here. We'll be serving up snow cones at the dance party, with all money from the drink tickets going towards CKA! Stay tuned for announcements about our special Christmas flavors!